Strong Poles’ pre-engineered Anchor Basket makes installations much faster, and alignment much easier. Simply push the Anchor Basket down into the wet concrete until the template is flush with the top of the concrete, and be sure that the conduit rises well above the hole in the template. Then, after the concrete has cured, remove the template and you are ready to mount the pole. 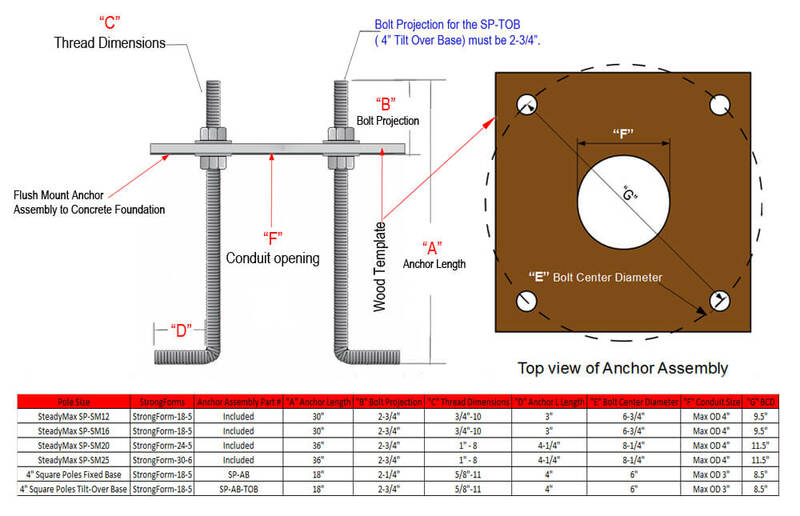 Each Anchor Basket has been preset to have a projection of the bolts above the concrete at the perfect height to allow the finish caps to fit onto the pole base. 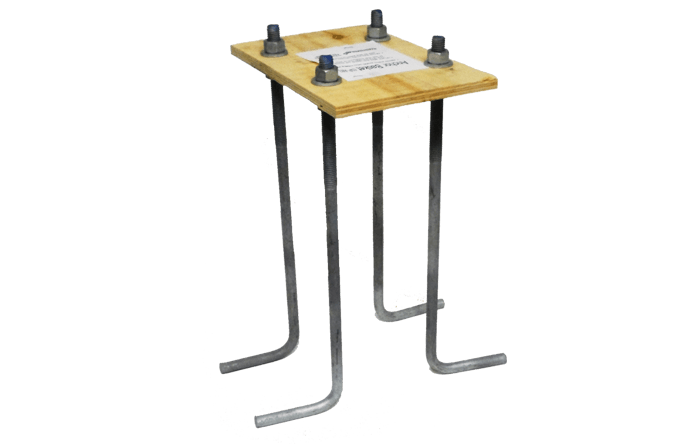 NOTE: If the installation requires the use of leveling nuts to “float” the pole on, make sure to increase the bolt projection by the appropriate amount before sinking the basket into the concrete. After sinking the Anchor Basket into the concrete flush with the wooden template, be sure to remove the template after the concrete is cured and BEFORE mounting the pole.